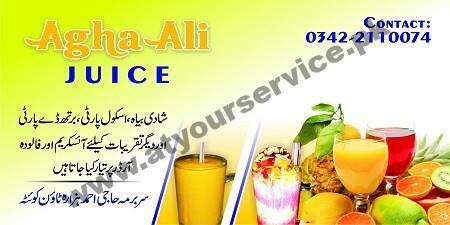 Agha Ali Juice serves ice cream, falooda and other light refreshment items. Agha Ali Juice is located at Sarbarma Haji Ahmed, Hazara Town, Quetta. It serves ice cream, falooda and other light refreshment items.